The Hot Air Balloon Parade from Câmpu Cetătii is the first and unique event of this kind in Romania. In 2014 it was organized the 9th edition of the parade.The festival is organized by the Nyaradballoon Sky Team Sport Association – Eremitu with the collaboration of the Mures County council and Local council Eremitu. The festival and the idea of this kind of festival was the consequence of a conversation between three friends and its objective is to present this kind of sport/hobby, unfortunately it isn’t a common one in Romania. 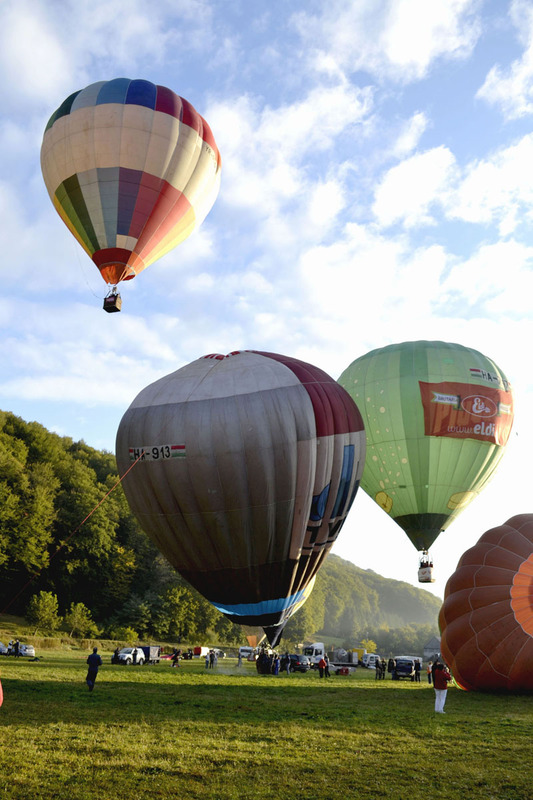 At the moment in Romania there are 10-12 hot air balloons, the majority in Bucharest, these balloons participate on different socio- cultural events in the country. The event from Câmpu Cetătii helps these teams to meet other teams from other countries to change experiences. From the year 2006 , there were 3 teams and a few hundreds of viewers. In the last years we had 14-16 balloons (or even more!) from 5-6 other countries and around 20-25.000 visitors. Last year there was 17 hot air balloons from many countries. Visitors are from the neighboring countries and the area. There are some people who plan their holiday to participate on this unique festival, there are many reservations for accommodation and flight, too. In 2015 the event will be in the period 25-27 September. Get of the hamster wheel, fulfill your precious time with great activities from our list.